Ex-Scotland gaffer Craig Brown is confident that current incumbent Alex McLeish can lead Scotland to the 2020 European Championships. 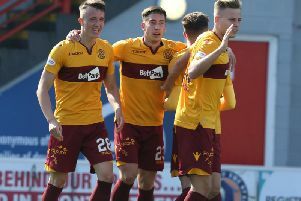 Brown, who was at the helm when the national team last qualified for a major tournament at France 1998, told the Motherwell Times: “I think they will qualify for the next tournament, I’m very optimistic. “When I was assistant to Andy Roxburgh at Euro 1992, only eight qualified. “Then there were only 16 teams who made it to Euro 1996 when I managed Scotland. “Now there are 24 who qualify, that’s nearly half of the 54 countries who are in sectional qualifying! Brown’s optimism for the campaign ahead is also heightened by the fact that – seemingly for the first time in many years – the national team has a plethora of fine young talent to pick from. “When Gordon Strachan had the job I didn’t think our central defence of Russell Martin and Grant Hanley was top class,” added the 77-year-old ex-Motherwell gaffer. “Charlie Mulgrew is ok but I think you can get better use of him in the middle of the park and he’s getting on a wee bit. “I think we have solved our problem at centre back now. I think it is looking good there. “Recently I watched Hearts beating Aberdeen and the big boy John Souttar was outstanding for Hearts. “Him and Scott McKenna of Aberdeen have brilliant physique and great pace. “McKenna is very quick and left sided and Souttar is right sided. “So big Eck has a perfect balance and it could be a match made in heaven. “For the future, these two are brilliant acquisitions. “Then we have two great young fullbacks in Kieran Tierney and Andy Robertson and John McGinn in midfield.